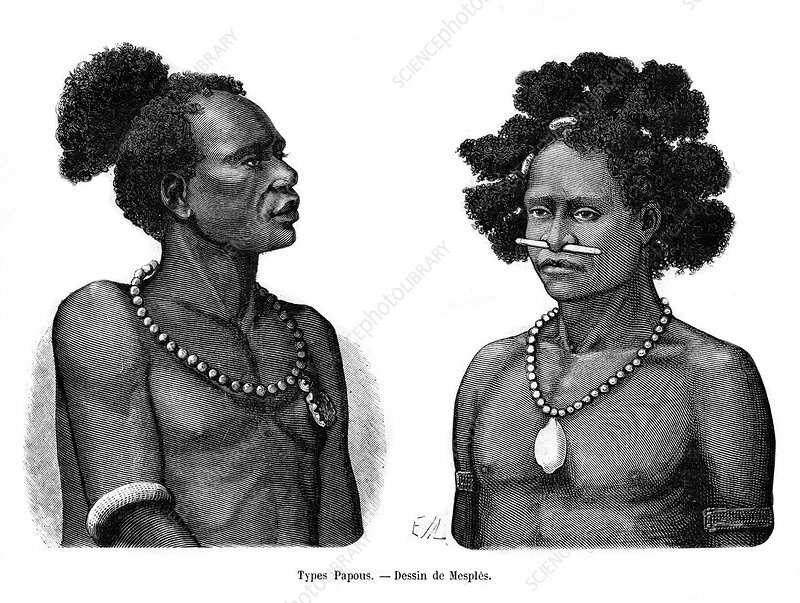 Papuan types, 19th century. Inhabitants of the Republic of Guinea, (probably what is now Papua New Guinea). Artist: Mesples.